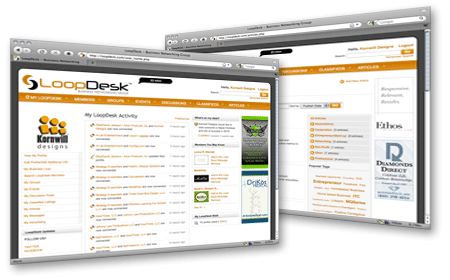 Membership includes FREE Unlimited access to all LoopDesk features. 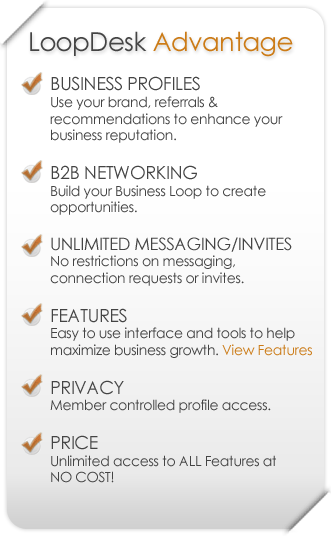 LoopDesk is a FREE Online Business Networking Group that allows members to connect solely for business purposes. The LoopDesk experience is unique in that members connect directly to business owners, partners and decision makers creating Global Business to Business Marketing Opportunities (B2B).